I´d like to share work to learn from others and others from me.Less time consuming than doing all the work all by yourself. 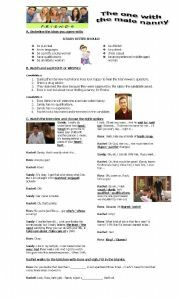 The handouts deal with the first scenes of the movie.You can freeze images to exploit and recycle vocabulary on the guide. Hope you like it. 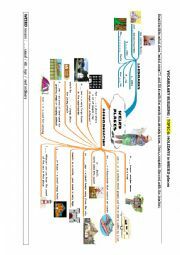 This worksheet is based on visual material provided by esol KEt for schools. The guide leads students to the analysis of common mistakes at the moment of the speaking exam. The video with the examiners and candidates is available on youtube. Hope it is useful as it was to my students. This is an interesting way to teach vocabulary through the use of mind maps. It is a presentation of the topic, a set of flashcards is needed to recap each word every lesson!!! 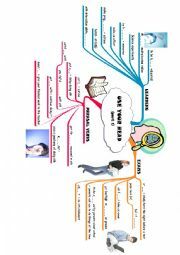 A mind map to visualise EDUCATION vocabulary. Each has a picture or a synonym or definition to explain the meaning. IDEAL TO PROJECT with an interactive whiteboard! This is a nice episode from FRIENDS to work on job interviews. Hope your students enjoy it as much as mine did. This is a two page handout to work on vocabulary building on the context of EDUCATION- USE YOUR HEAD- They must fill in with the correct letters and will have the mind map finished for a wordbank later on! Hope you enjoy it! You need the pilot episode of LOST. Enjoy it. 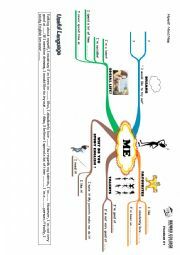 A mind map to introduce students among each other. A perfect ICE BREAKER. This is the first page of a group of guides. 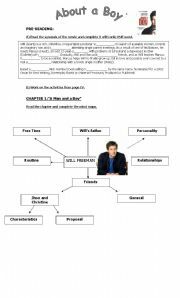 They accompany the reader ABOUT A BOY that comes with CDrom and it is a person Longman reader. 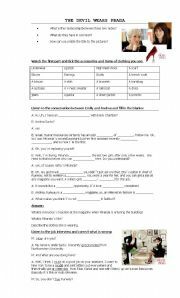 This two worksheets deal with personality of a shopaholic ( in the movie Rebecca from Confessions of a shopaholic). The scenes from the movie are written on the guides. Hope you enjoy it! Explanation of the uses of Past PErfect in the context of the TV BBC series Doctor Who. Expressions connected with the topic of Internet, computers and technology. It is a matching exercise. This is like an icebreaker to get to know your students. 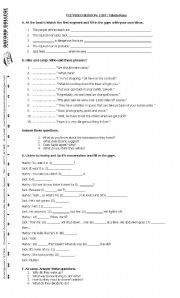 They could fill the form and then swap papers with the rest of the class, then, they read aloud and try to guess who they are talking about. They can stick them up in a poster to show the whole group`s data. Good start with lessons in 2010! It`s another poster for your classroom. I hope your students profit from it. This is related to the pilot episode of DR House. My students really enjoyed working with the topic HEALTH and rounding it off with this episode. A good way to organize thoughts after watching!! This is a flashcard to hang on your classroom. 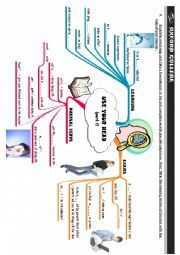 Hope it`s useful for your students. Students can assess their knowledge about camping equipment.